China’s an amazing, wonderful place but it can be an uphill climb for first time arrivals in the country, here’s a few tips to making your visit or arrival an easier and more pleasant one. While Beijing did a great job of preparing for the Olympics and many locals are now at least a little fluent in English, the rest of the country really isn’t. It can come as a horrible shock to the system when you realize that your taxi driver has no idea what you’re saying when you want to get to your hotel at the airport or that ordering a beer in the bar has just become an insanely difficult task. Pro-tip: Get a Mandarin-English phrasebook with Chinese characters under the phrases, so you can point at them in times of difficulty. Always have your final destination and any stops between written down in Mandarin before you go, so that you can always find your way to your hotel in a taxi. It is all too common outside of areas where foreigners are regularly found, for Chinese people to point and stare and shout at you. Ignore it, it’s not meant badly, it’s just how curiosity is naturally displayed in China, they do this to unusual Chinese people too. It’s also pretty common for people to comment negatively on your appearance or clothing on first meeting, this shows that they care and is not meant to be offensive – let it go. Pro-tip: If you find the attention overwhelming, do it back. Stop, stare and point – the offender will quickly get the message and stop. I like to wave and pretend I’m a film star on these occasions, which whilst clearly not the case makes me feel better. Never, ever lose your temper. Customer service is a non-existent concept at the moment, you will find yourself willfully ignored, cheated and generally abused by businesses at every turn. Do refuse to accept this, but don’t blow up – if your cool flees, you’ll lose face if you keep it and pointedly make life difficult for the person spoiling your day – they’ll lose face. Pro-tip: Never get into disputes with front line staff, they have absolutely no authority to improve the situation if your initial complaint resolves nothing, immediately escalate to management who may (but not always) be able to get something done. I’m not a big believer in people changing, I haven’t seen much change in myself (I’m a little wiser – but only a little) over the last few years. That means I’m still a cynical, cantankerous, sarcastic soul who’s too clever for their own good. However one thing that hasn’t changed is a good thing. That’s the ongoing respect I have for my mum (cue accusations of “mummy’s boy”). She’s been an enormous help to me throughout my life – even when I haven’t deserved it at all. I haven’t seen her in nearly 3 years either – all the time I’ve been in China and a bit more. So that’s why I’m really pleased to tell the world that this week she kicked my writing backside. A little background on this, she left school when she was very young and without a single qualification to her name. She’s not stupid but her convent education did everything it could to convince her she was. She went to work for a big (and now forgotten) company as a secretary where she met my old man (can’t win ’em all mum) and in the fullness of time they got married and had two sons. She then retired gracefully from work and dedicated her best years to raising me and my brother (surprisingly she still hasn’t said that she wished she’d drowned us in a bucket and done something useful instead). 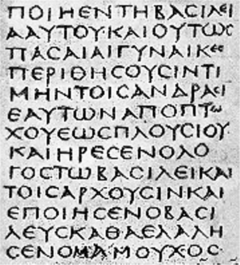 Thankfully, unlike this manuscript it wasn't "All Greek to me" it was truly excellent. She had – many years before, in fact she’d written a book and several short stories but something had discouraged her and she’d put them away and given up on the idea of writing. I’ve got to be honest I was appalled at this – people who know me will tell you that I only give praise when I think it’s earned. And whilst romance novels aren’t my usual genre – this was a damn good one. So I bullied her into starting again. A lot of bullying over the next few years would ensue – while she achieved some amazing results that kept dragging her to the edge of but not quite into publication. She had a sci-fi short story accepted by a magazine which couldn’t then fit it into its roster. She went to her first ever writer’s convention and got accepted by an agent on the spot. (This was down to a little bit of good fortune when the agent ran out of time in a class she was in and offered to compensate her for failing to read her synopsis – by taking some sample chapters and giving feedback on those too the following day). Sadly her book didn’t make it to publication, publishers loved it but all felt it wasn’t genre specific enough to place in their own catalogues. (Fools – the whole industry would change a couple of years later thanks to publishers that took precisely these risks, but too late for the book my mum had written). She should get a medal just for living in Liverpool for 3 years, the first class honours degree makes her a hero in my book. (Or heroine technically). 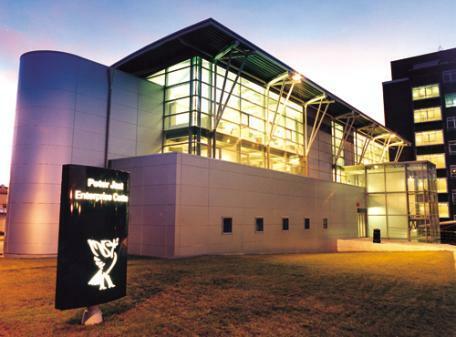 She didn’t give up though, she went to an access course in Basingstoke and in a year was one of Hampshire’s top performers – and that paved the way to heading to John Moore’s University to read Creative Writing, where she duly grabbed herself a first class honours degree. If that wasn’t enough she then topped it off with a Masters at Lancaster University. She continued to write through this period and wrote two more excellent novels, sadly neither of these was picked up either. With her confidence dented she took up teaching English instead and earned her Post-Graduate Certificate in Education (PGCE) part-time whilst working full-time. After finishing this qualification she began to take on some work for a publishing house that her friend works at, and it was her friend who pushed her to start writing again (well done – Maria). This week it all paid off for my mum, her book “Mistletoe – The Loneliest Mouse” a beautiful children’s tale was picked up by the same publisher. She got a top tier contract which includes marketing support (a big result as most titles get none). 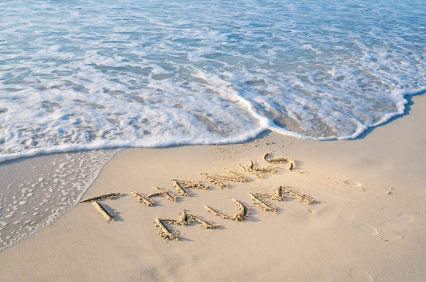 So I’d like to say – well done mum! Now start writing more. 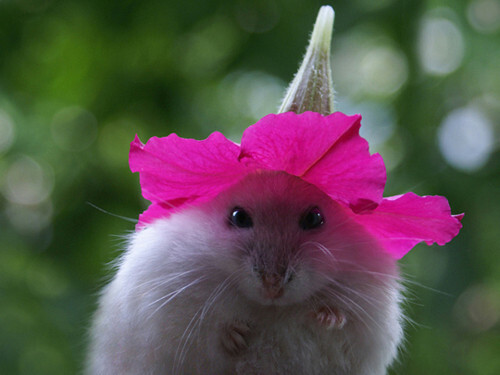 Her mouse doesn't wear a hat - but I imagine that if she did, she'd look like this. Yes, it’s much better than my stuff even on my good days. It feels like the real deal, polished, professional, readable and enjoyable. But in this one instance I’m not jealous, I’m really pleased for someone who’s worked so hard for success to get it, and I’m even more pleased that it’s my mum. P.S. It will take around 3-6 months before it goes into print, that’s the way of publishing so I won’t be pushing links for it today – but I will be the day it’s available to buy. There will be absolutely no apologies for this shameless plug at that time. A final interesting fact is that the whole family has now been published – my ghost written tome is due to come out early next month (e-book only), my father self-published his own walking guide to Winchester, and my brother was a press officer for a major British institution and has been published all over the national press. The strangest thing is that it’s taken the best writer among us, the longest time to get there. You have to love Shenzhen for trying. Given that the city is not exactly world famous for anything at all, except perhaps playing home to Foxconn (and that qualifies more as notoriety than fame now), they don’t give up easily on trying to get on the map of notable places to be. Helen of Troy was said to have a face that launched a thousand ships, her beauty is reputed to have led to one of the most brutal old world conflicts imagineable. Is this face of Shenzhen enough to launch a thousand novels? 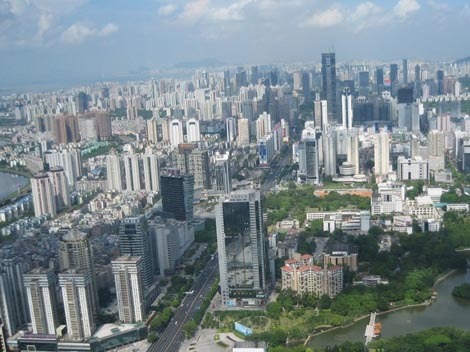 The latest attempt is an application to UNESCO to become a “City of Literature” – you can understand this with its long, rich, 30 year history of making cheap electronics – Shenzhen is in fact China’s new Bohemia. Or maybe not. The trouble with Chinese literature is that in the main, it’s pretty bad – there may be 1.3 billion folks here thirsting for a good book – but there’s no money in writing and that tends to lead to a surplus of stuff to be read, but an absence of quality. China’s best selling sci-fi author sells millions of titles, but he has to work a 9 – 5 job to pay his bills, because his cut from a paperback sale is 3/5 of diddly-squat. So if the top guy in his field can’t make any cash, you can be reasonably assured that no-one else can either. China’s historic literature is richer than its current offering but Shenzhen can’t latch on to that – it didn’t exist in times gone by, and even given the Chinese ability to appropriate just about anything it’s unlikely that the guys at UNESCO are going to believe that there are thousands of years of penmanship emanating from a tiny fishing village. The trouble is that anyone can win a national award in a developing nation, there are literally billions of the bloody things. Almost every blogger I know has won one of the chain-letter style awards going round – they’re nice, they’re sincerely meant and sincerely conveyed by the givers, but I’m guessing none of us is going to get a plaque from UNESCO for them either. Shenzhen, city of design - "we built a lot of skycrapers real quick". I'm guessing that's why UNESCO liked their application, because it's one of the ugliest cities on earth. I love the fact that Shenzhen is already a “City of Design” and wonder if the UNESCO people even bothered to come and have a look before handing out this piece of plastic. It’s also in the running for “World Book Capital City” (you’re having a giraffe surely?) and “City of Piano” (whatever that is – I’ve been here for 3 years and seen one piano). In fairness to Shenzhen the bar to entry for this award seems to be set pretty low, I understand how Dublin, Reykjavik and Edinburgh won – but Melbourne seems to be pushing it and surely America has a more literary destination than Iowa City? Actually I may be lying when I say real reporting but in fairness this is the first time since the Cook report where I’ve come across a simple piece of investigative journalism, over a relatively trivial matter, that’s resulted in violence against the journalists. 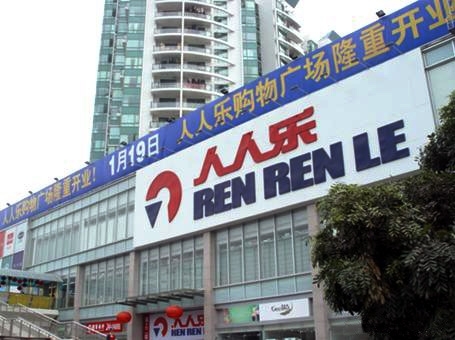 The bold reporters from Southern Metropolis Daily, headed to Renrenle – a Chinese supermarket chain, to prove claims from customers that they were stocking produce that is past sell-by. It was, so instead of perhaps purchasing the goods and taking a few photos – our heroes decided to stuff the offending products into carrier bags instead. Unsurprisingly, shop staff saw this as an act of shoplifting. The two men were “beaten about the chest” and the police were called and those doing the beating were subsequently hauled off to jail. I like the comment from the marketing department that essentially says; “Skanking our customers is inevitable, we sell so many products that we can’t take any responsibility for them.” As being sold out of date crap is a daily occurrence in Shenzhen, I’m more puzzled why they had to go all the way to Longzhu to find a supermarket pulling this stunt. They could just take a walk around Louhu and find fifty stores that do this daily, my favourite was the store trying to sell a loaf of bread that must have been about 3 weeks past sell by – as it was now just a bag of wet soggy mould. I’m also a fan of the well researched piece featuring an industry professional that adds keen insight into our understanding of a city or country. Sadly Shenzhen Daily has no idea how to write one of these – so we’re left with this quality example of a “what I did on my holidays” essay instead. In essence Darian Gier has lived in China for 18 months and in that time he’s found a favourite restaurant, and his “keen sense of observation” leads him to conclude; “I witnessed things happening at this time.” – as opposed to walking around with your eyes, ears and nose taped shut? My second piece for China Daily will be entitled; "The great wall - it's really long." Am I missing something here? This article which appears in the China Daily heralds the amazing moment when one single piece of TCM finally becomes legal in the EU – that’s the first ever TCM compound to be legal in Europe (please ignore the practitioners who tell you otherwise). And umm… while they’ve gone into a whole shed load of detail regarding the impact of this news on the company. They seem to have neglected to mention one little thing, what the heck it is that this compound is supposed to do. Nice way to waste a few hundred words, China Daily. In further non-news from this quality paper we have, “Iceland emerges as a dream destination for Chinese tourists” – which translates as less than 1% of 1% of the Chinese population have been there, and we suspect that that number is the same as the number of Chinese people who’ve heard of the country give or take 5 bodies. I would like a job writing this kind of content – I think I could be very creative in delivering the “Nothing of interest whatsoever happened today.” message. I’m thinking of submitting my first freelance piece entitled; “Chinese people. Yes, they eat a lot rice.” next week. Following on from yesterday’s post, there’s almost always an opposite of each expat extreme and in this case that’s Mr. I hate China. Mr. I hate China hasn’t enjoyed a day in country since his arrival, for him there was no honeymoon period whatsoever he jumped right into “this place is a dump” and has been stuck there ever since. To Mr. 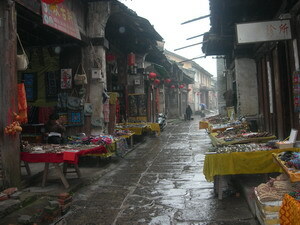 I hate China - all of China looks like this, and whilst in fairness much of it does. There's plenty of cool stuff here too. This chap has also learned the language, because it’s better to be able to insult people in their own tongue. He waits for any opportunity to feel cheated or deceived and then embraces it whole-heartedly. He’s almost certainly on the career ladder for a major corporation and all his frustrations boil down to his inability to adapt his management style to local conditions. He came with high-hopes of creating friends out of all his staff and becoming a recognized thought-leader in his field in China. Within a week he’s found out that this isn’t going to happen – his Chinese workers think he’s an idiot, he has no regard for face culture and has managed to insult everyone in the building without realising it. From this moment on, he will be sidelined for the rest of his stay in China – whenever something important is happening at work he’ll be sent to a trade fair in Inner Mongolia. His resentment at this bubbles over into all areas of his life. He’ll start a screaming match in Starbucks because they haven’t warmed his cup for long enough before filling it with coffee. He’ll have a full-blown tantrum at everything he sees daily, for the duration of his stint here. However he has too much pride to ask for a transfer back to his home country because he’s worried that he won’t be promoted ever again if doesn’t get the “I’ve survived China” badge on his CV. He doesn’t normally associate with expats either, he uses his company position to bully his staff into attending endless dinners and post-work drinking sessions. At these he will ruthlessly humiliate them and if they decline more than one or two invitations to “enjoy” his company a year, he will threaten to end their careers. He will become a regular visitor to KTV’s around the local area and the few female “friends” he has will be on his personal payroll. He will then boast about his sexual prowess to everyone from the West he encounters, not realising that it’s easy to have threesomes every day if you’re hiring them in. Mr. I hate China often doesn’t realise that he hates China and at the start of an evening he may easily be confused with Mr. I love China. However his contempt for the local culture comes through clearly over an evening, particularly his contempt for the local women. He will be boasting of his exploits and thinking he’s winning over the awe-struck bar but whenever he takes a bathroom break – everyone in the room breathes a sigh of relief and then complains about him until he returns. He’s easy to sympathise with at times, China’s not perfect but the schizophrenic nature of his “China Number One – “China Number Ten” speeches eventually grind you down. Mr. I hate China is best avoided particularly when he’s drinking as he not only looks down on China, he looks down on the people around him. That because in his head he’s number one, and we’re number ten too. It’s been a while since I posted on here, as I’ve been snowed under with work, been arrested (and released without any serious consequences) for forgetting my passport at home when I went to Starbucks, and I’ve had some health problems too. I’ve also been making some serious changes in my life, and the countdown that starts today at T-18 is indicative of the next change. I will definitely be off-air as it were from May 4th until May 6th and possibly for slightly longer – more on this after the dates. I thought it was time to take a look at the expatriates I’ve encountered here in China, where certain aspects of what I consider to be typical expat behaviour are magnified beyond reason. 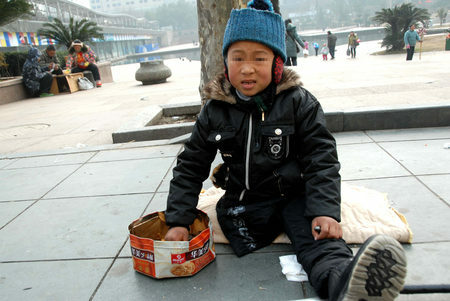 This chap is an anomaly, he arrived in China after a reasonable amount of success at home. He’s past the honeymoon (the first phase of culture shock – where most expats fall madly in love with their new home, only for it all to come crashing down around their ears when they run into the next phase). You may have been told that the Chinese diet is a paragon of healthiness. 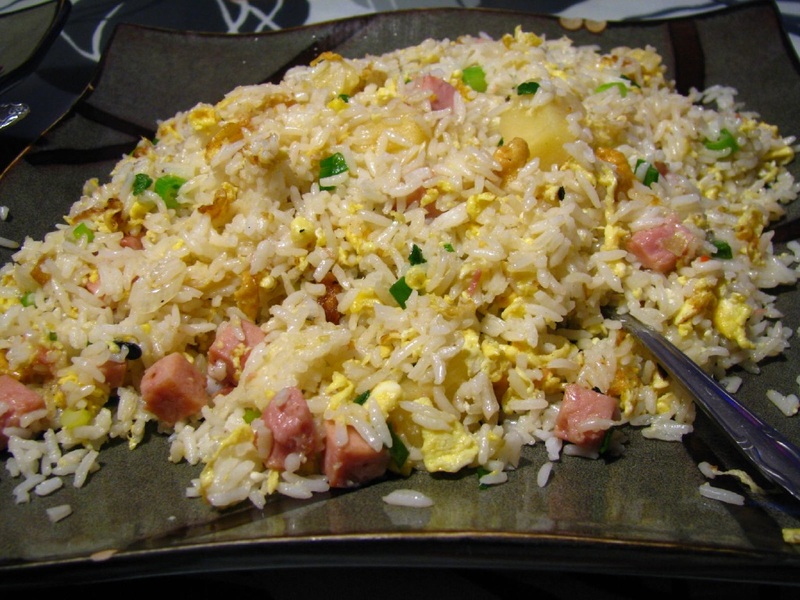 It's worth noting that white rice has a strong causal relationship with Type 2 Diabetes. It's also worth noting that due to poor medical care and diet the Chinese may look healthier than their Western counterparts but they aren't in any practical terms. He’s deliberately turned his back on his fellow countrymen and gone native. He lives in a run down area of the city, which he swears is the only authentic way to appreciate the country. He only eats rice and stuff with copious amounts of chilli. He’s learned the language to some extent and is almost certainly living on his own rather than with a partner. However every now and again he emerges at expat venues to lecture his fellow expats about their feelings for China. He’s convinced that China’s is the strongest economy in the world and that the country is about to “bail out” the universe. He’ll make ridiculous statements about how China now owns Europe and the United States that he cannot support with a shred of evidence. Once he’s had a few to drink, he’ll almost certainly start an argument that allows him to use the phrase; “If you don’t like it here why don’t you just **** off home.” As though this is a practical solution for many career expats for whom China is a temporary stop on their route to the top, or for those with family ties here. You have to wonder why these guys exist, it’s clear that their lives back home weren’t awful and that they have received minimal (if any) benefits from living here. Their Chinese friends consider them to be insane – no self respecting Chinese person wants to be anything other than Chinese, and they have no concept of why this idiot wants to dump his own culture. Their expat acquaintances sigh whenever they walk into a room, whilst these folk can be extremely articulate and good company everyone knows there’s a point in the evening when that’s going to stop and they’re going to degenerate into a pompous gibbon. I don't blame China for having a lack of social welfare, we've seen in the China Economy theme that there's nowhere near as much money to go round as the headline GDP figure suggests. I do blame expats for heaping praise on a country that currently neglects its most vulnerable. The UK may be in decline but we don't leave the maimed to spend their lives in pain on street corners. A measure of a country is in the way it treats the people who cannot provide for themselves - China has a long way to go in this respect. The most frightening thing of all is their inability to see the daily evidence that their claims of “China Number One!” are not in the remotest bit true. This morning I walked past a mad man on the street, he’s missing an eye and because there’s no provision for his care at a social level this maimed man has stuffed the bleeding socket with tissue paper and he sits on the corner weeping, screaming and shouting. (I sympathise I’d be doing the same thing in his shoes). If that’s the future of humanity, you can keep it – it’s not something that makes me aspire to be here forever. 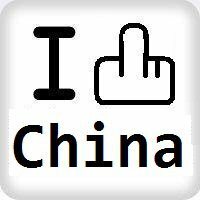 This “I love China” character is the most perplexing of people for me, they’re usually intelligent and able people. And while I’m all for positivity – I’m a realist first and foremost. Nowhere in the world is “Number One” for me – everywhere I’ve been has problems and everywhere I’ve been has some wonderful points too. Sometimes I think they’ve replaced the woman (or man) that should be in their lives with a country. If that’s true then they deserve to be pitied, but for now – I prefer to avoid these people, they drive me nuts. Next time – we’ll look at Mr. I love China’s opposite number Mr. I hate China. It’s a holiday week here in China, and now that April Fool’s is out of the way it seems appropriate to mention it. Qingming is widely celebrated around the region not just in China (and of course Taiwan, Macau and Hong Kong too) but also in Vietnam. You’ll find Chinese communities around the globe getting involved too – particularly in Malaysia and Singapore. It’s only recently been added back into the Chinese calendar after being removed during the early period of Communist rule. That hasn’t stopped people from following the practice in the interim though. My favorite comment about this holiday is on Wikipedia; “Traditionally, people brought a whole rooster with them to the graves visited but the occasion has become less formal over time.” I like the idea of a formal rooster – I have a vision of one dressed like James Bond in a tuxedo. Essentially the idea behind Qingming is to visit the graves of your ancestors and give them a quick spruce. 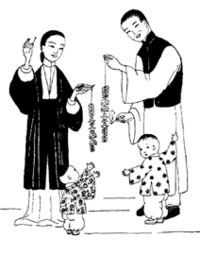 Interestingly despite the lack of religion in China, it’s common to pray for your ancestors during this period of spring cleaning too. It’s also the norm to carry a willow branch to ward off evil spirits. Ever practical Qingming doubles up as a Chinese Valentine’s day of sorts (there’s another one still to come too) and it’s when couples traditionally start “courting” in China. It’s also a good time to buy tea as tea harvested prior to Qingming is considered to be of a much higher quality and commands are higher price tag too. I’ll be honest Qingming doesn’t have the same festival feel that comes with Chinese New Year or the mooncake festival later on this year, and for us expats it’s a minor inconvenience in that everyone stops working during this period and business slows to a trickle. Any way you take it – here at Shards of China we wish you a jolly happy Qingming festival. Thank you all once again, it’s been another record breaking month on Shards of China – this month the site welcomed just over 15,000 visitors! Shards of China also finished the quarter on less than a hundred visitors short of 30,000 since the start of the blog and the start of the year. Yes! The wall is back in this latest blog update. Shards of China is proud to bring you an image of China's most famous construction for the 20th time so far in 2012! This last fortnight has been a little “all over the place” literally in the case of the just finished virtual tour of Anhui province, so if you’re new here and fancy learning about somewhere in China that’s relatively unheard of why not check it out? Other than that I was rude to some English teachers and got the most commented piece on Shards of China so far, with another piece bemoaning the quality of British exports to China coming in a close second. In a slightly funnier piece I answered some of the burning questions that lead Google searchers to Shards of China. I’m also going to launch in these updates a non-sponsored plug for one of the blogs on my blogroll each time I do one of these fortnightly thank you letters and round ups. So today I’d like to encourage you all to visit Nate’s blog – The Happiest Baby in the World. Nate’s here in China too, he lives out in the sticks and his job is to collect Panda poo. (No joke). His blog sparkles with wit and generosity, and has the added advantage of some of the best people pictures you’ll see on WordPress – his daughter Dee in a dinosaur costume is one of the cutest children ever. The final bit of news is that this month also saw subscriber numbers go over 200 for the first time. I’d like to encourage you to subscribe to Shards of China if you like what you see here. You can do it from the menu on the left hand side, you’ll only be sent updates of posts and never any spam or marketing material. I think that’s a fair reflection of a province that relies on scenery in the main to draw in the visitors. Whilst the Chinese will (and do) travel for food, the fussy Westerner tends to want a little more for his (or her) money. 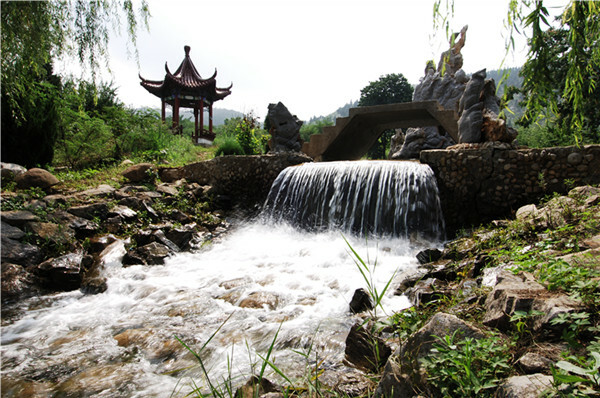 Huangcanyu Nature Reserve in Suzhou in Anhui Province. Nice enough but more of the same really. Suzhou doesn’t offer a whole lot more than scenery either, you have Huangcanyu Nature Reserve another pretty place with some more of the obligatory temple sites. Impressive they are, but there’s nothing really to differentiate it from any other site in Anhui either. That’s also true of the Wuliu Scenic Spot, pretty enough but after wandering round the whole of Anhui there’s nothing that really sparks the enthusiasm either. 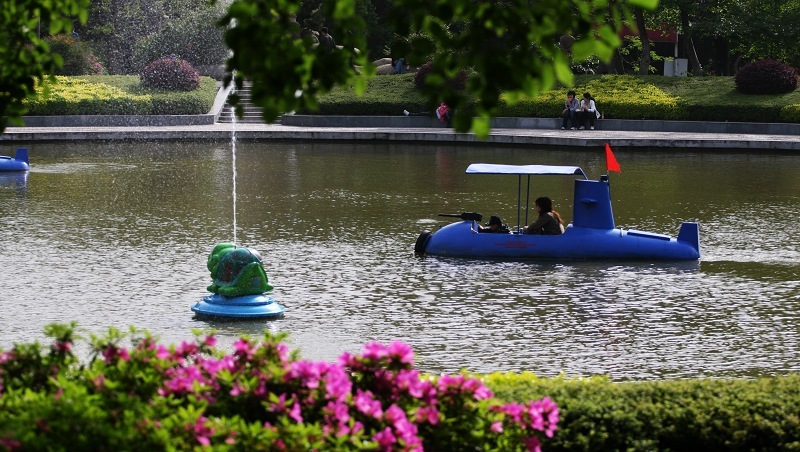 Wuliu Scenic Spot also in Suzhou. Pretty waterfall but one of the other towns offers you a hundred waterfalls and I suspect once you've seen those - you're going to be all waterfalled out and skipping Suzhou from your itinerary. If the locals don't want to go home - why would I want to visit? Full marks to the Suzhou tourist bureau for the most redundant travel advice ever too. They sincerely advise that when it’s raining, you should have an umbrella. I suppose it could have been worse they could have listed every obvious opportunity to act like a normal human being alongside this – “It is strongly recommended that you wear clothes in public and eat when you are hungry.” They also have a message from a local, which says “Suzhou’s my home town and I haven’t been back in years!” a resounding endorsement if I ever heard one. Wuhu is home to Zheshan Park, I wonder if they've considered a twinning arrangement with its Lancastrian equal over in Oldham? It’s a shame that Wuhu has nothing much more exciting too, I like the idea of getting off a train there and shouting “Woo hoo we’re in Wuhu!” the locals would appreciate the pun, and given that it’s not on the main tourist route they may not yet have heard that joke more than a thousand times or so. Wuhu is home to Zheshan Park which rather reminds me of Alexandria Park in Oldham that my granddad occasionally took me too when I was small. I’ve never been tempted to return to Oldham to re-experience its joys in real life, and I suspect that no-one’s ever gone to Wuhu for this “major tourist destination” either. 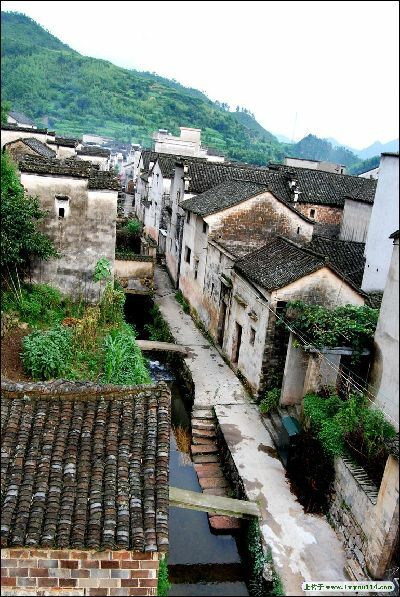 Jixu County is just outside of Xuancheng in Anhui Province, is it beyond the realms of possibility for someone to give it a lick of paint? Because as it stands I wouldn't cross the road to have a look at it, let alone thousands of miles. Right at the end of our alphabetical line is Xuancheng which is tiny by Chinese standards with less than ½ million people in the district. Xuangcheng is slightly more interesting than the other two places in that its a center for the Hui culture and has quite a bit of architecture that’s styled by this ethnic minority. Sadly as you can see from our picture the center of this movement is in Jixi County and it looks like rural Devon but somewhat dirtier. Other highlights include the Enlong World Woodhouse Village which doesn’t seem to have any wooden housing and also looks dirty and run down. There’s also Taiji Cave which is of the “seen one cave, seen them all” type and I couldn’t find a single image of the interior which suggests that by the time people get there – they just want to go home. 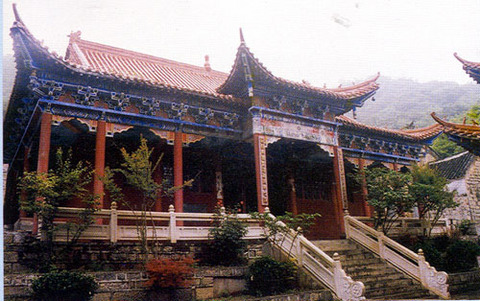 Jingting Mountain looks marginally more promising, offering more scenery and temples to the exhausted Anhui traveler who must be at least part goat by the time they finish in the province. So that’s it for Anhui, I fervently hope for the province’s sake that they invest in some marketing people who know how to take a photograph of the good stuff before they spend all that money on new cities and villages. That’s because at the moment there’s really no compelling reason to go for more than a brief visit, and that’s only if you find yourself on a long train journey heading somewhere more interesting. 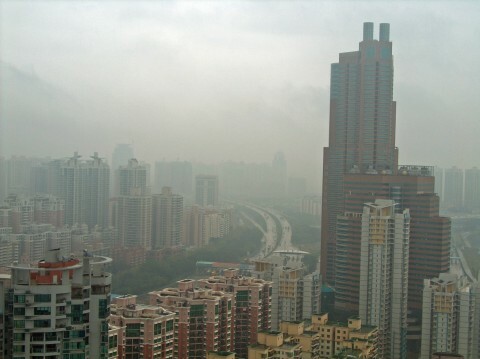 And that’s where our next stop in this series will find us – Beijing Municipality the second largest city in the world by population, and the capital of China.